In the last couple of months Mojo Helpdesk has made many improvements and included new features that will benefit Mojo customers. 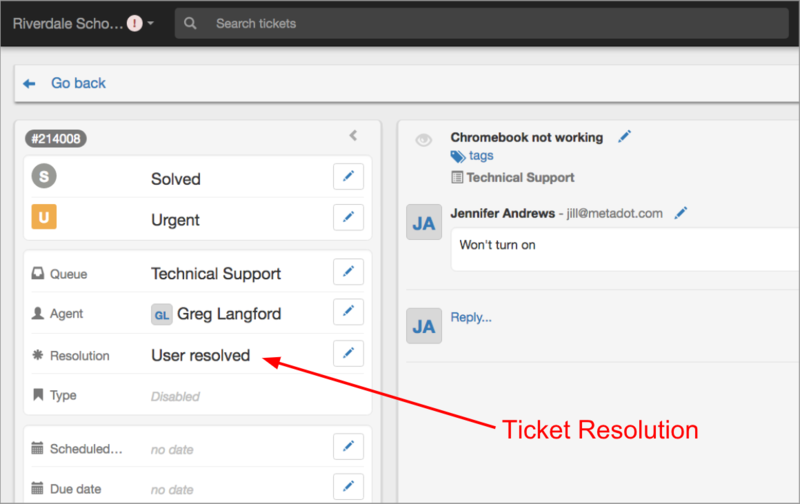 Mojo Helpdesk released a new system field called ‘Resolution’. 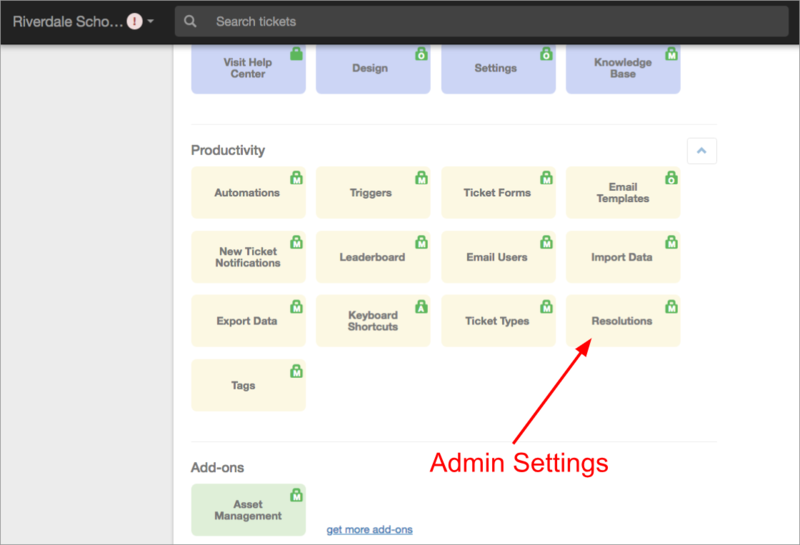 The resolution types can be defined by a manager or admin in the Admin Settings (screenshot 1). This will then allow agents to choose the resolution type, in other words, which method the agent used to resolve the ticket (screenshot 2). Once the ‘Resolution’ is defined by the agent, the team will know what areas can be improved and what common fixes are being made for particular issues. In the email templates for triggers and automations, we’ve added a variable that will allow a user to reply to the ticket at hand. Emails sent by triggers and automations come from a ‘no-reply’ address. 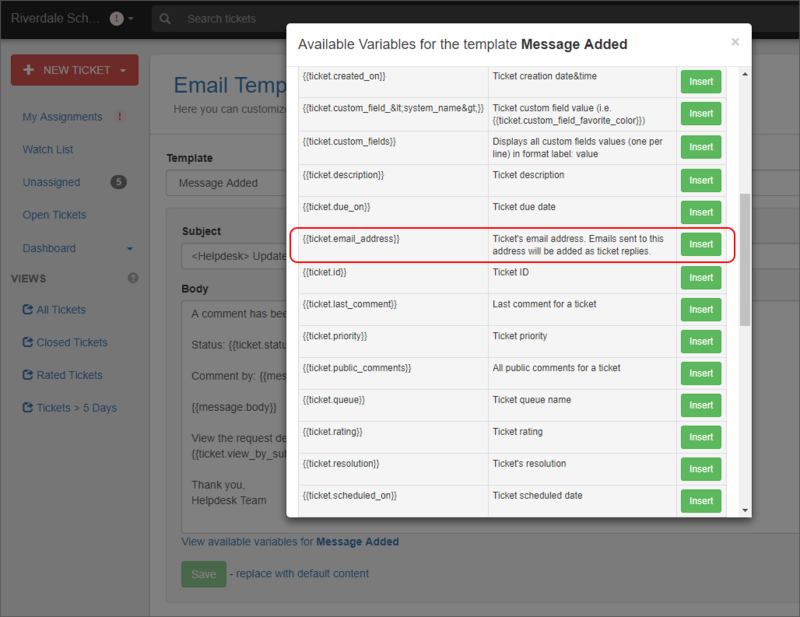 Adding the ‘reply to’ variable/email address in the body of the trigger or automation email allows the user to respond back on the ticket which will subsequently update the agent. Mojo Helpdesk’s ‘Aging Summary’ report had been improved, adding ‘Tags’ as a filter and by reformatting the page for a better user experience. Managers can view the last active date of agents in the user profile. 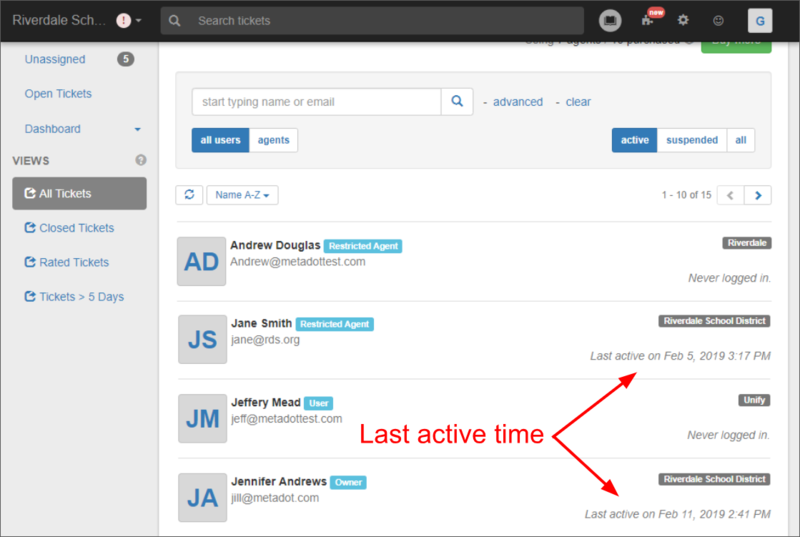 Mojo Helpdesk displays the ‘last active on’ timestamp of agents. Added a search filter for ‘no type’ in the ‘advanced’ search, which will be helpful in finding null values of ticket types. And, an improved ‘Merge’ tickets functionality; showcasing on the left hand side for better streamlined visibility. Mojo Helpdesk would like to thank the customers who have delightfully contributed their feedback so we can make these improvements possible. I would really like to be able to run formatted reports for a full-year’s worth of data. To me, this is still the biggest shortfall in the service after several years. Indeed you are correct Once the ‘Goals’ is characterized by the operator, the group will realize what regions can be improved and what normal fixes are being made for specific issues. I hope that this update will take into account all those aspects that almost all users have spoken about before, since this was very problematic. I would really appreciate an improvement about reports, it would be would to have reports of tickets for a period larger than a month, as we usually run reports that includes 3 moths to track former cases not closed during the month. I want to check that this update thinks that this replace will recall all those elements that almost all customers have spoken about earlier than, for the reason that this turned into very complex.